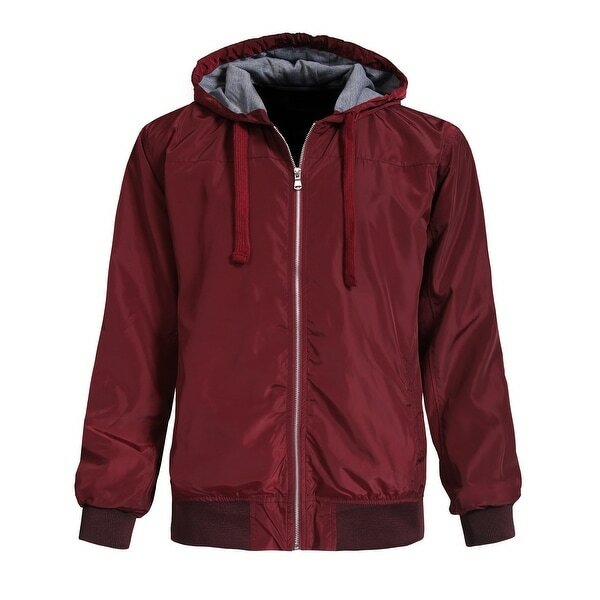 Mens active lightweight soft windbreaker zip up hoodie with pockets, water repellant, ribbed neck line, cuffs, waistband, long sleeve, classic and simple stylish jacket. Try our mens casaul lightweight windbreaker hoodie zip up, and perfect for under layering or even by itself. S - Chest: 36in. / Shoulder: 20in. / Sleeve Length: 22in. / Length: 25.5in. M - Chest: 38in. / Shoulder: 21in. / Sleeve Length: 22.25in. / Length: 26in. L - Chest: 40in. / Shoulder: 22in. / Sleeve Length: 22.5in. / Length: 26.5in. It's OK but I don't expect this jacket to last very long. Is it too much for a thin jacket to be made of durable materials? I would skip it and buy something of better quality.